"We rose hastily," says Madame Royale . . . "My poor brother was asleep; they pulled him roughly from his bed to search it . . . 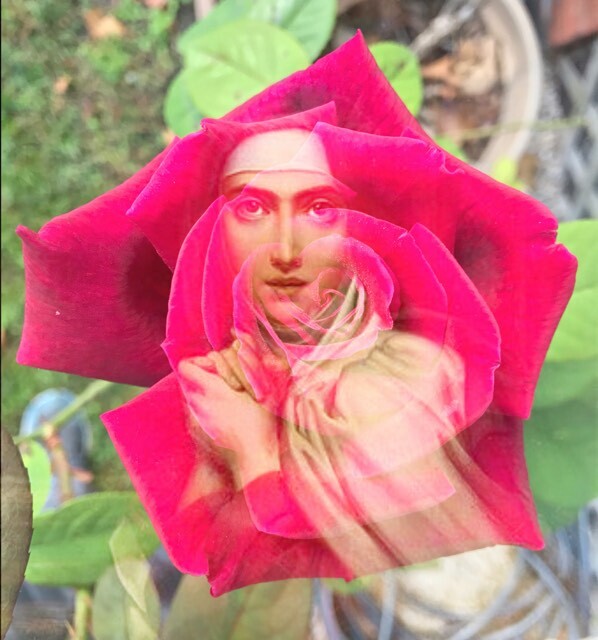 They took from my mother the address of a shop, from my Aunt Élisabeth a stick of sealing-wax, and from me a Sacred Heart of Jesus and a Prayer for France." That Sacred Heart of Jesus and that Prayer for France were closer bound together than would seem at first; and perhaps she needed all her faith in the one to be able at that moment to pray for the other. St. Margaret Mary Alacoque always kept a badge with her and inspired her novices to do the same. 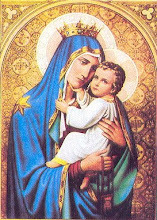 She made many badges and often said this practice was very pleasing to the Sacred Heart. In the beginning, only nuns of the Visitation were allowed to wear the Badge. It was later spread by Venerable Ana Magdalena Rémuzat, a religious of the Visitation who died in the odor of sanctity (1696-1730). Our Lord told this nun that a serious epidemic would afflict the French city of Marseilles in 1720, and that its inhabitants would receive a marvelous help through this devotion to His Sacred Heart. Mother Rémuzat, helped by her sister in the convent, made thousands to Sacred Heart Badges and distributed them throughout the city where the plague was rampant. Soon afterward, the epidemic stopped as if by a miracle. Many Badge wearers were not infected and even people who got sick experienced extraordinary help through the Badge. Analogous events happened elsewhere. From then on, use of the badge spread to other cities and countries. The news of the graces obtained through the Badges reached the Court. Maria Lesczynska, wife of King Louis XV became devoted to the Badge. 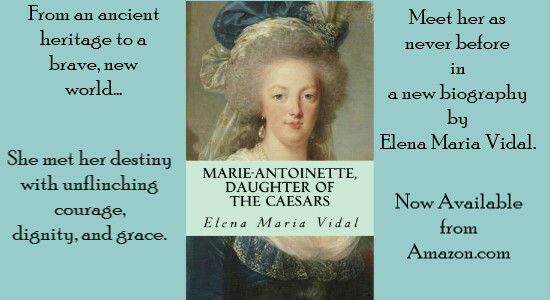 In 1748 she received several Badges from Pope Benedict XIV as a wedding gift. Among the various presents sent by the Pontiff were "many Badges of the Sacred Heart made of red taffeta and embroidered in gold," the records say. The unfortunate French Revolution erupted in France in 1789, a worse punishment than any plague, causing tragic consequences for the whole world. True Catholics found protection in the Most Sacred Heart of Jesus during that period. Many priests, nobles, and commoners who resisted the bloody anti-Catholic revolution wore the Badge. Even ladies of the Court, like the Princess of Lamballe, wore the Badge embroidered with precious materials over fabric. The simple fact of wearing it became a distinctive sign of those who op posed the French Revolution. 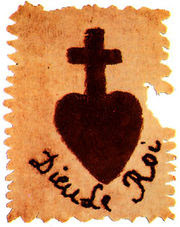 Among the belongings of Queen Marie Antoinette, guillotined out of revolutionary hatred, was found a drawing of the Sacred Heart, with the wound, the cross, and crown of thorns, and the inscription: "Sacred Heart of Jesus, have mercy on us!" In 1793, when the peasants of the Vendée revolted against the anti-Christian character of the French Revolution, they wore the Sacred Heart Badge into battle, with cries of "Rembarre!" 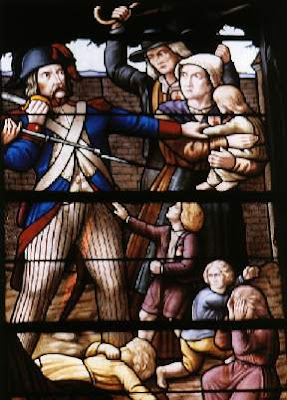 The gallant revolt was viciously put down by the Revolutionary government; in the name of liberty, many men, women and children were tortured and massacred. To don the emblem of the Sacred Heart was to be an enemy of the new world order. Wow, a great history lesson I never knew. 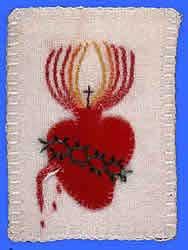 I love the idea of having the Sacred Heart sewn into my clothing...might have to look into that! Marvelous idea. Thank you, Jennifer. I only wear my brown scapular and medals but I have the SH badges around the house. I love so much the inscription on my badge, "Cease! The Sacred Heart is with me!" Very powerful.